Close to the beach! With an incredible tasty and cheap restaurant right downstairs! The hospitality from the hosts that gave us the keys was more than welcoming, especially since we were not able to reach there till just after 9pm. The cleanliness of the large apartment was absolutely immaculate. 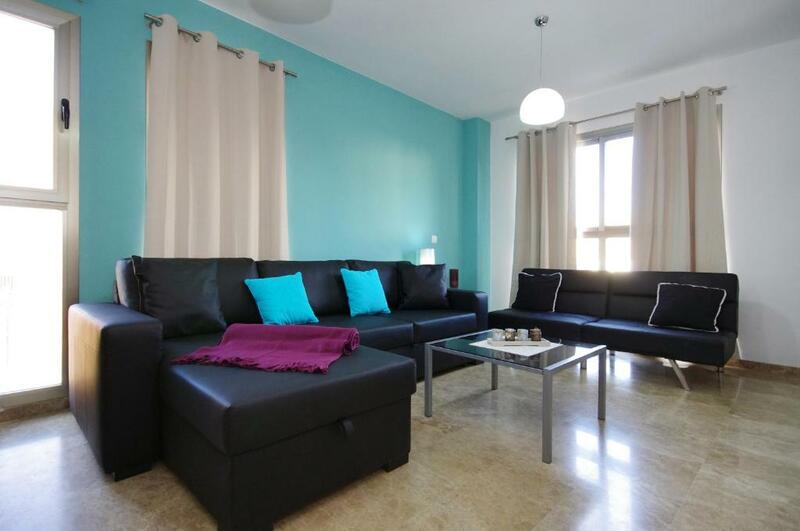 the location of this apartment for the beach is great (we were 6th floor) - less than 2 mins and you are there with a short walk to bars, restaurants and a supermarket.. Its got everything you need. Hosts were really good and gave us a map where to get on and off bus stops etc. Its straight on the 19 route which takes you into the historic center. Staff in the office is helpful and speaks English. The kitchen is well equipped. Air conditioning is good. 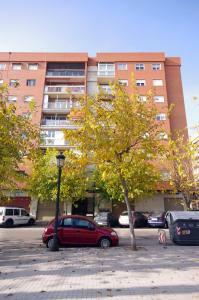 Good location near to Malvarosa beach and public transport. Lock in a great price for Apartamentos City Beach Valencia – rated 8.6 by recent guests! 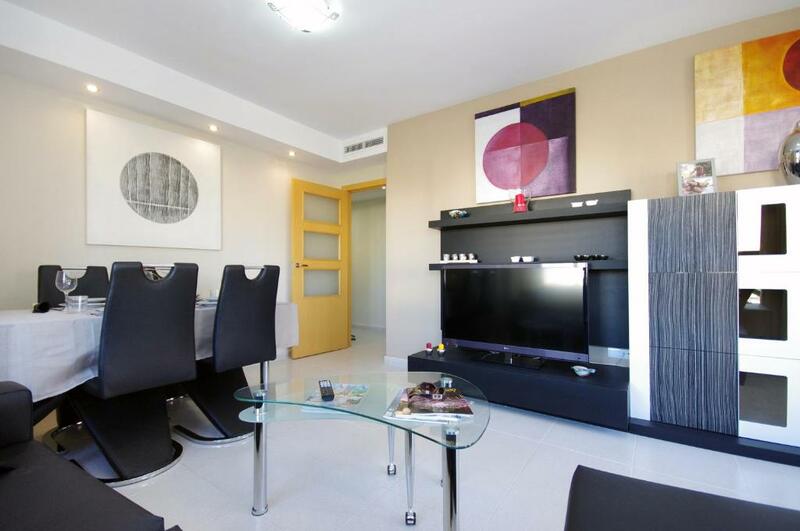 One of our top picks in Valencia.Apartamentos City Beach Valencia apartments are set in different locations in Valencia, between 100 to 500 feet from the promenade and just a few feet from Malvarrosa Beach and Valencia's Port. Apartamentos City Beach Valencia offers modern accommodations with free Wi-Fi. All feature a living room with flat-screen TV and a sofa. Their kitchens are equipped with a washing machine and dishwasher. 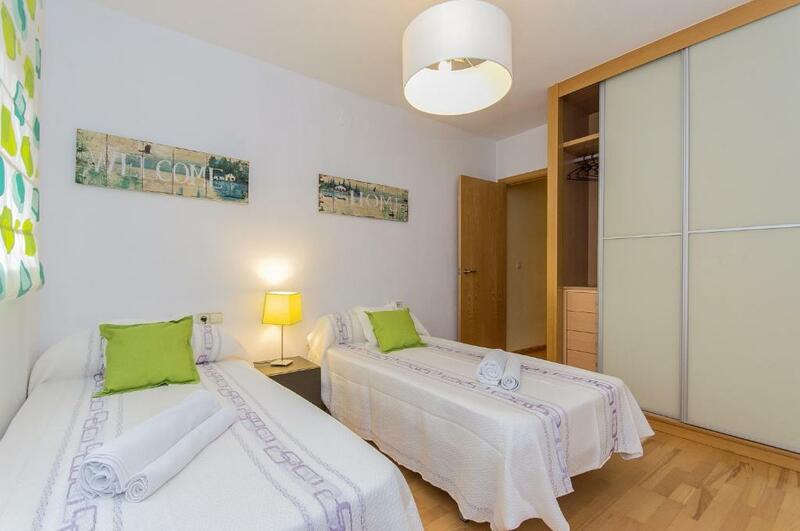 Apartamentos City Beach Valencia provides bed linen, towels and kitchenware. During summer they also offer beach towels and parasols to be used at the beach. Some apartments come with a spa bath. The property is conveniently located near public transport stops. There are 5 bus lines and the tram, which takes you to the center of Valencia in 25 minutes and to Valencia Airport in 1 hour. The City of Arts and Sciences is 1.2 mi away and Valencia's Port can be reached in 15 minutes on foot. You can walk to Valencia Polytechnic University in 10 minutes. 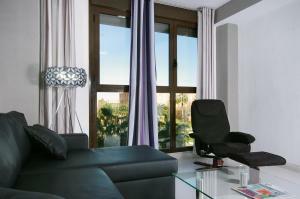 When would you like to stay at Apartamentos City Beach Valencia? Address: 3, Calle Acequia de la Cadena. 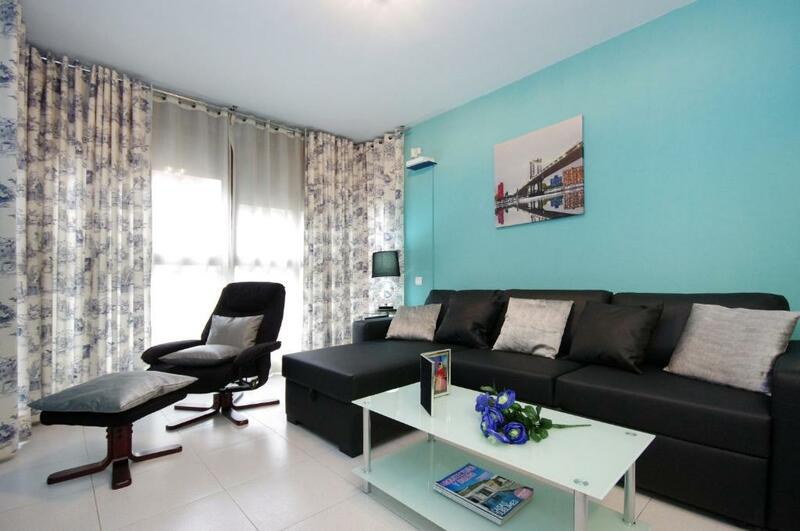 This modern, air-conditioned apartment features a double room, a twin room and a single room. The double room comes with a private bathroom. The apartment has another full bathroom. The living room is equipped with 2 sofas, a flat-screen TV and a DVD player. The open-plan kitchen has a microwave, a dishwasher and a washing machine, as well as a fridge. Bed linen, free Wi-Fi and kitchenware are included. These modern, air-conditioned apartments come with free Wi-Fi and a flat-screen TV. They have a spacious living room with sofa-beds and a kitchen with an oven, washing machine, dishwasher, fridge and microwave. This air-conditioned apartment features a private balcony. It includes a living area with a flat-screen TV and DVD player. The kitchen is equipped with an oven, washing machine, and dishwasher. The bathrooms come with a shower, and towels and bed linen are provided. This apartment has a kitchenware, washing machine and oven. This 3-bedroom apartment features a private balcony. The living area with flat-screen TV and the bedroom have air conditioner. The kitchen is fully equipped with oven, microwave and kitchenware. This air-conditioned apartment, distributed within two levels, features a patio and a private terrace with outdoor furniture. The living area has a flat-screen TV and free internet service. The kitchen is equipped with oven, microwave and dishwasher. En Apartamentos City Beach llevamos desde 2007 recibiendo huéspedes y mostrándoles lo mejor de nuestra ciudad desde el mejor entorno natural de que disponemos, la playa de la Malvarrosa. Trabajamos duro para ofrecer los mejores apartamentos privados totalmente equipados para que te sientas como en casa. El equipo de Apartamentos City Beach está formado por un grupo joven y dinámico, siempre dispuesto a ayudar en lo posible para que tu estancia sea única y guardes recuerdos imborrables de la ciudad de Valencia. Area Info – This neighborhood is a great choice for travelers interested in beaches, sunshine and warm weather – Check location Great location - show map Guests loved walking around the neighborhood! 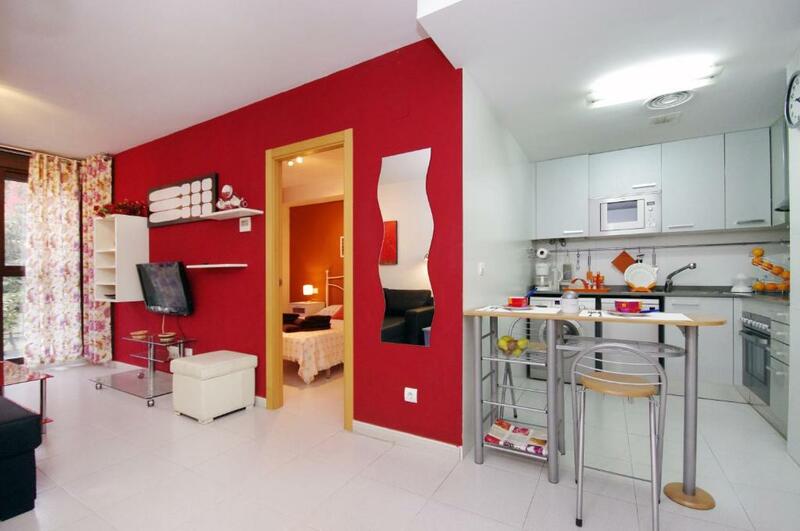 House Rules Apartamentos City Beach Valencia takes special requests – add in the next step! Apartamentos City Beach Valencia accepts these cards and reserves the right to temporarily hold an amount prior to arrival. Please note that late check-in after 21:00 carries a EUR 20 surcharge and between 00:00 and 02:00 35 EUR surcharge. 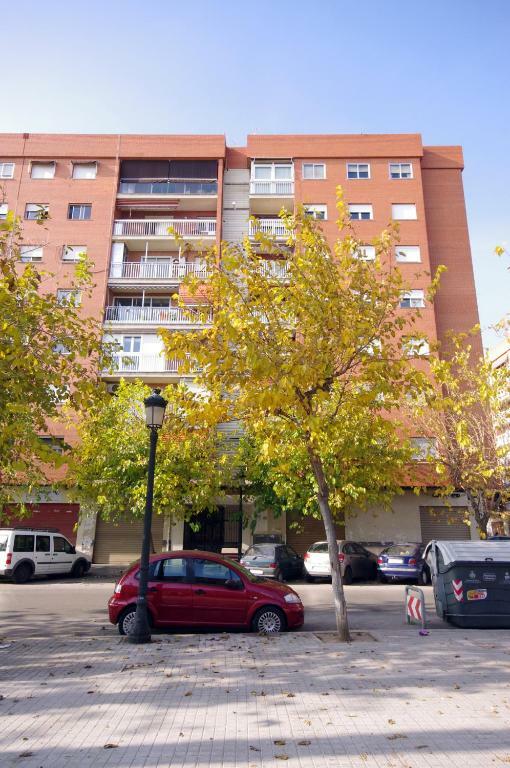 The pictures at the top of this page are a selection of the different apartments located in the Malvarrosa Beach area. Please select a date and click on the apartments to see the pictures of the individual apartments. Please note that check-in and key collection take place at: Calle de la Reina, 276, Valencia 46011. Beds where a bit uncomfortable. It's great as a quiet getaway especially having the beach right there, but a little further out from the town than wanted but the bus stop right there opposite the apartment made up for that. Old kitchen utensil, really. For example, you need to buy a normal knife. Our room was noisy, every night there was a noise from Burger King under our room and from trams. 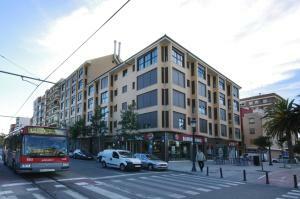 The normal grocery store (Mercadona) is far away from the apartments (about 1 km). - not much we were looking for a beach break so suited us perfectly. Very very noisy. No usable knifes. Sometimes there is strange garbage-on-sun smell in room if conditioner is enabled. Not a good noise isolation. Too many lauds from the street (Burger's king and Metro Valencia) . Not a quite and good sleep. Not for families with children's. Sry. Only for couples and singles. There is a bus stop in front of window. So it's a bit loudy if one prefers to sleep with open window. However, no problem since it's quite good noise protection if the window is closed.